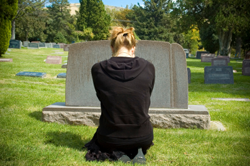 Nina Impala has both personal and professional experience with bereavement. She has lost both parents and has recruited and trained hospice volunteers. Nina is a Spiritual Grief Counselor who gives people tools to cope through her process of using HeartSight™. She is the author of Dearly Departed: What I Learned About Living From The Dying.